It is an interesting week for those of us who are ghetto nerds. 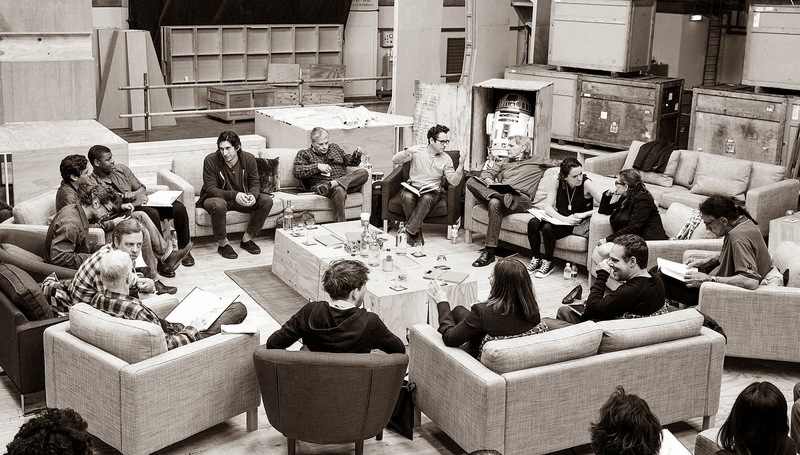 On Tuesday, the cast of JJ Abrams' new Star Wars film was announced. As a bonus, we were treated to a nice black and white photo which was evocative of the archives from Lucas's first Trilogy. How old are we of the hip hop generation to see such a thing come to pass? And Max von Sydow? In a Star Wars movie? The Force is strong with this one. With the changes to Star Wars canon and the Expanded Universe, I guess that my take on the opening crawl to Episode VII is now fully consigned to the memory hole and dustbin of history. It is 30 years after the destruction of the second DEATH STAR and the demise of THE EMPEROR. The remaining forces of the GALACTIC EMPIRE have spread destruction across all of known space. PRIME MINISTER LEIA ORGANA and her husband HAN SOLO are desperately trying to rally the NEW REPUBLIC’S forces. JEDI MASTER LUKE SKYWALKER remains in self-imposed exile at the JEDI ACADEMY, hidden somewhere in the OUTER RIM TERRITORIES. Meanwhile, the deadly warriors known as the MANDALORIANS have allied with a faction of the old GALACTIC EMPIRE to launch a devastating attack on the NEW REPUBLIC's shipyards at the planet ORD MANTELL. Max Brooks was a guest on Tuesday night's Conan. He is the author of the canonical work of zombie speculative fiction World War Z. Recorded Attacks, the "sequel" to World War Z, is even more impressive--although it did not receive the attention it deserved upon release several years ago. Brooks did not talk that much about zombies on Conan O'Brien's TBS show. He was on Conan to shill for his new book about The Harlem Hellfighters. 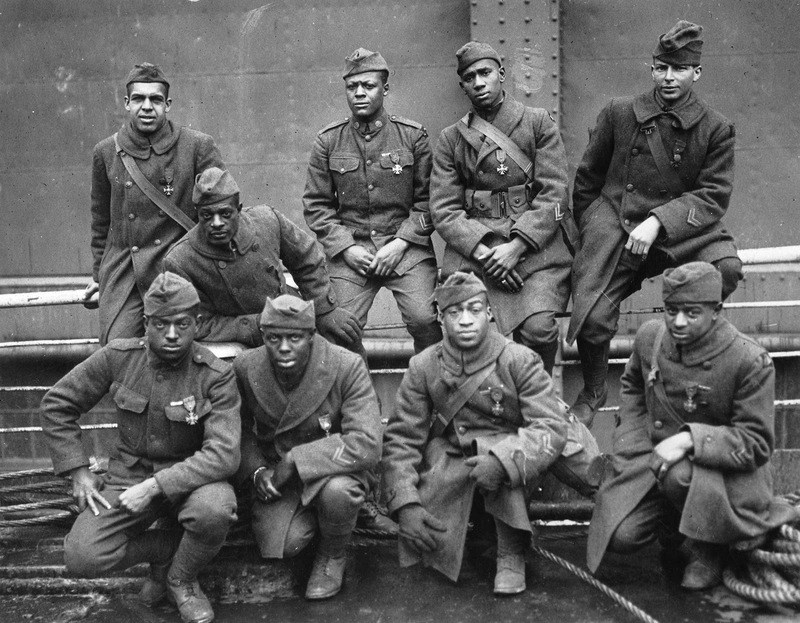 For all of my laments and critical interventions about the enduring power of white supremacy in post civil rights America, I was impressed and pleased to see Max Brooks, a white brother, talk about the Red Summers of the 1920s, and the amazing heroism and courage embodied by the Harlem Hellfighters. The Black Freedom Struggle continues to win small victories; I would like to believe that Jim Europe was smiling down from the Elysium fields as he watched Conan and Brooks discuss the exploits of the Harlem Hellfighters. And yes, Conan did show THAT iconic photo of the Harlem Hellfighters, with the power and dignity that it contains, at the end of his interview with Max Brooks. When a star is made said moment is sometimes predictable. When a star is made said moment can be a confirmation of what has long been known, but is now fully and irrevocably self-evident. If you are a professional wrestling "smart mark"--or even a "regular" fan--I would expect that you "popped' during Raw's opening on Monday night when Bray Wyatt staged an opening promo for the ages. Yes, "he has the whole world in his hands." John Cena reminds me of Hulk Hogan during the end of his run in the (then) World Wrestling Federation. What do you do with Cena at this point in his career? Is there anything left for him to accomplish except either to give the rub to newer talent or turn heel? Answer. Bray Wyatt is taking every advantage of the opportunity given to him to become something special. Bray is an innovator to the degree that he is building upon the foundations provided by Jake the Snake Roberts, Raven, and Papa Shongo (yes, I said Papa Shongo). Popular culture is cyclical; it is also iterative. Professional wrestling provides some of the most transparent and best/worst examples of that process. Do you have any random fun and good popular culture finds--books, movies, music, etc.--so far this week to share? "Triumvirate of Ghetto Nerd Goodness" I like that. Not really any pop culture finds recently. I haven't watched wrestling since I was a teen. Before WWE was a thing and there was WCW. I think HHH was big and The Rock. I am a little excited about Star Wars. My hippy nerd is kicking in with the arrival of spring. Dandelions and violets in bloom. I wish I could find some morel mushrooms. I have been able to sell ramps (wild leeks) at our farmer's market, so I have made a little cash for us these past couple of weeks. My tomatoes, peppers, and watermelon are waiting for the last frost date. My back has been hurting really bad lately, but if I can get the garden beds weeded I should be able to plant these and some squash and corn for this year. I love the spring, sorry I missed the spring growing season of lettuce radishes peas and onions and carrots, but I can't hunch down out there in this much pain. As for the back pain, it's like a roller coaster. Not really any pop culture finds until this came up in my news feed: Richard Wright starring Bigger Thomas in Native Son ! I love the word "triumvirate". It is my second favorite word after "lascivious". What is it like at the farmers market. There is one where I live and I keep telling myself that I will go. Is it all luck of the draw or are they consistently good? Back pain. I have my issues to. But since I started listening to Dr. Sarno's advice on back pain some years ago and trying to do the Muller system things have tended to be better. The farmer's market is consistent here. The same folks have been serving there for years, possibly decades. Some things can get expensive (we get DC and Northern Virginia tourists and commuters), but it has been affordable for us for years. There is a farmer that I am friends with who sells my ramps and then gives me credit with him, which is great. He raises beef, pork, and chicken, and grows most vegetables you would want. His family has been on the land for 12 generations I believe. Ramps are very pungent and delicious. I am privileged to have the place to get them, the person to sell them, and the yuppie community that wants them and will pay. Thanks for that link on Dr. Sarno, I'll check him out. I think I just have a long and difficult recovery after my surgery then years of doing the wrong things. Also, El Rey is a new TV network by From Dusk Till Dawn director Robert Rodriguez. Worth checking out. Great classic Kung fu also. I will need to see if we get El Rey here in Chicago. Classic kung fu as in Shaw Brothers? Yes, as in Shaw. kung fu and action classics such as The 36th Chamber of Shaolin, Five Deadly Venoms and The One-Armed Swordsman. This is a station I wish they had back then. All your interests on one channel.